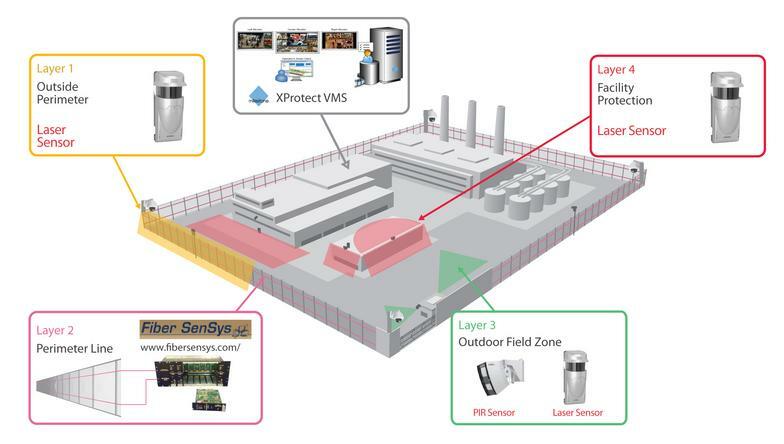 Integrating Optex IP sensors/detectors into XProtect Corporate and XProtect Enterprise video management software (VMS) links data from detectors with video from corresponding cameras. Optex sensors/detectors can be configured to trigger cameras to start recording, allowing surveillance operators to visually verify detections and help reduce the number of false alarms. 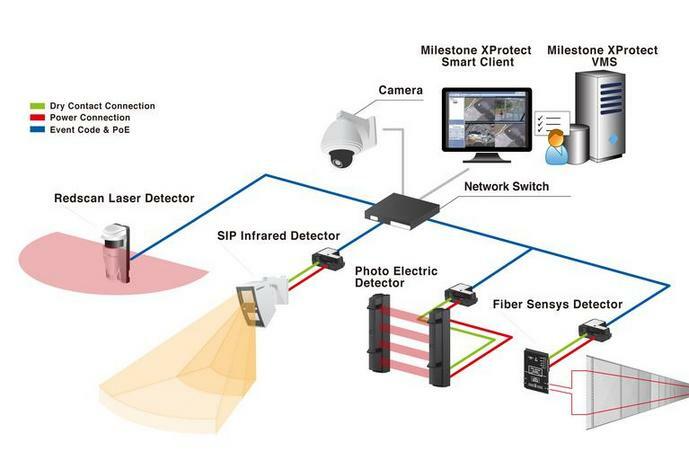 Improve efficiency by integrating Optex Redscan® laser scan and Passive Infrared (PIR) detectors into Milestone XProtect software. Detectors and video are displayed together in the easy-to-use Milestone XProtect® Smart Client interface, eliminating the need to run two separate applications, while lowering bandwidth consumption. Increased Reliability: To significantly reduce false alarms, advanced sensing algorithms in Redscan and Redwall detectors provide accurate detection in real time. Detection in difficult lighting conditions: The detectors provide advanced detection accuracy in environments where there is inconsistent or no lighting. Improved response in real-time: With the map function in XProtect Smart Client, the detectors can immediately identify the point of intrusion so users can verify a security incident and respond fast. Improved evidence: Record, play back and export sensor/detector data with video to provide an accurate timeline and overview of incidents.